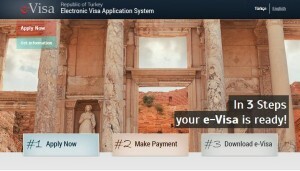 Through Dubai Turkey Consulate website, I came to know about the availability of E-visa application in the UAE. It seems too good to be true that I can have a Turkish visa if I only provide the website a 6-month-valid passport, a confirmed flight reservation and a Master or Visa credit card payment. Antigua and Barbuda, Armenia, Australia, Austria Bahamas, Bahrain, Barbados, Belarus, Belgium, Canada, Croatia, Dominica, Dominican Republic, Greek Cypriot Administration, Grenada Haiti, Hong Kong, Hungary, Indonesia, Ireland, Jamaica, Kuwait, Maldives, Malta, Mauritius, Netherlands, Norway, Oman, Poland, Portugal, Qatar, Saint Lucia, Saint Vincent and the Grenadines, Saudi Arabia, Slovakia, South Africa, Spain, U.S.A, United Arab Emirates, United Kingdom. Not bad, right? However, if you don’t meet the criteria above, you can always apply the old-fashioned way through their Consulate. Please visit their office at 8:30AM to secure a slot (they allow a maximum of 60 applications/day).